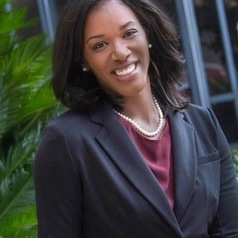 Dr. Pryce currently leads the Florida Institute for Child Welfare which is located in the FSU College of Social Work. Her foremost responsibility is providing evidence-informed recommendations to Florida's legislative policymakers. She has previously held the positions of Child Protective Investigator with the Department of Children and Families, the Deputy Director of the University At Albany's Education Consortium, where she coordinated child welfare training partnerships throughout New York State. She also spent time as a Child Placement Specialist working closely with the Office of Refugee Resettlement. She has maintained a vested interest in the wellbeing of vulnerable children and families, the sustainability of the child welfare workforce, and effectively addressing racial disproportionality within foster care.